Despite their elimination in the Euro 2016 football championship, fans of the Irish National Team have won the hearts of people worldwide with their charm and sportsmanship during the June tournament in France. Their winning attitude inspired a Frenchman to write an open letter praising the Irish people ahead of last Sunday’s match with France. At the quadrennial soccer tournament known for rowdy fans, drunken brawls, and hooliganism, which caused curfews this year in some French cities, the Irish fans stood out as a breath of fresh air. They have “owned the Internet” during their time at Euro 2016, caught in videos serenading women, singing lullabies to babies, dancing with French police officers, and even repairing a car dented in one of their celebrations — and demanding the owner take their money to get it properly restored. 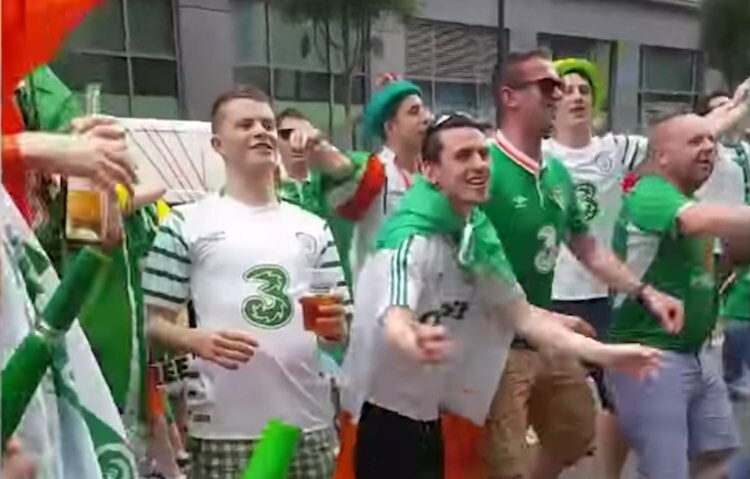 Ireland lost to France 2-1 in their Sunday match, but fans won’t go home empty-handed.